Obituary for Frank Korhammer | Gaskill Brown Funeral Home & Cremation Services, LLC. Frank Korhammer, age 92, of Philadelphia passed away Thursday, November 29, 2018. Formerly a longtime Merchantville resident, Frank was a US Navy WW II Veteran and member of Trinity United Methodist Church in Merchantville. 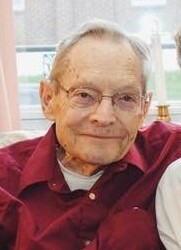 Husband of the late Helen (nee Van Artsdalen); brother of the late Stephen and George Korhammer; step-father of the late Benjamin Parrott, he is survived by his loving wife Mary (nee Mills); a son, David Korhammer; step-daughter, Susan Gallagher (Michael); five grandchildren; and four great-grandchildren.